Your wedding day should be one of the most romantic, exciting, and fun days of your life! First, you are about to be united in marriage with your soulmate. Second, you’re going to throw the most amazing party ever, and you, your family, and friends are going to party like it’s 1999. Wait, does that still mean it’s going to be a great party being that ’99 was – like – forever ago? Well, 80s music references aside, one thing you want to do is make sure your photographer captures all of it, the love, the excitement, the fun. Regardless of how experienced your photographer is, it never hurts to be ready with some suggestions of shots you want on your day. You already know he or she will be getting the traditional shots during the ceremony and reception. They will get all the standard shots of family and the bridal party. What you should do is take some time planning a shot list of fun photos. You may be surprised just how creative photography can get. Get on the internet and browse some photographer websites to see what you like. Some blogs have just what you’re looking for. Once you have found a few you like, prepare a little portfolio for your photographer to view. It’s not a guarantee they will be able to get all the shots you want, but at least they’ll have a fighting chance. Some photographers are more creative than others so it doesn’t hurt to help yours out. Creative types may find it hard to take instructions from their subjects, but as long as you approach them politely, they should be open to your suggestions. After all, aren’t you the one paying thousands of dollars for their service? At the end of your wedding day you’ll find you get a lot of photos you didn’t expect to get and the process getting them will be easier than trying to come up with ideas on the fly! Many brides-to-be on a budget have to make the difficult decision to cut video service out of their amazing day. It’s a sacrifice many couples regret having to make years later when they wish they could simple sit down and watch the day again. However, many couples are starting to actually choose videography over photography when their budget forces them to choose one or the other. The reason is simple, they are pulling photos from the video. Advantages to pulling photos from video are cost, convenience, and quality. First, when it comes to photography, you can spend well over $5,000 for all-day coverage. A talented professional videographer will likely be half that expense. Obviously, the savings can be significant. Secondly, a couple who decides to pull photos from video will have complete control over what photos they want to choose. This provides unique convenience. Since the couple has the video in their possession, they can decide at any time when to pull more photos from the video. With photography, you get what you get, when you get it. Finally, the reason pulling photos from video is even an option is because of technology. A video camera, for the most part, is actually a still photography camera. But instead of taking one single photo at a time, a video camera takes as many as 60 photos per second. That means one hour of video can yield well over 3000 photos. Today’s professional video cameras are so powerful, the resolution of each individual frame is quite high. As a result, the quality of the pulled photos can be just as clear and spectacular as photos taken from many professional cameras. In fact, some photography cameras such as the Canon Mark III are used by videographers to capture video. And then there are programs like photoshop that can enhance the pulled photos. “Technology has transformed the industry. What could only be done by professional photographers 15 years ago can now be accomplished by kids on their laptops with inexpensive programs,” says professional videographer Steven Krentz. So, why don’t all couples simply hire a videographer and have photos pulled from video? The reason is simple, videographers aren’t in the photography business. When a videographer is on assignment, his or her job is to simply capture the action around them. 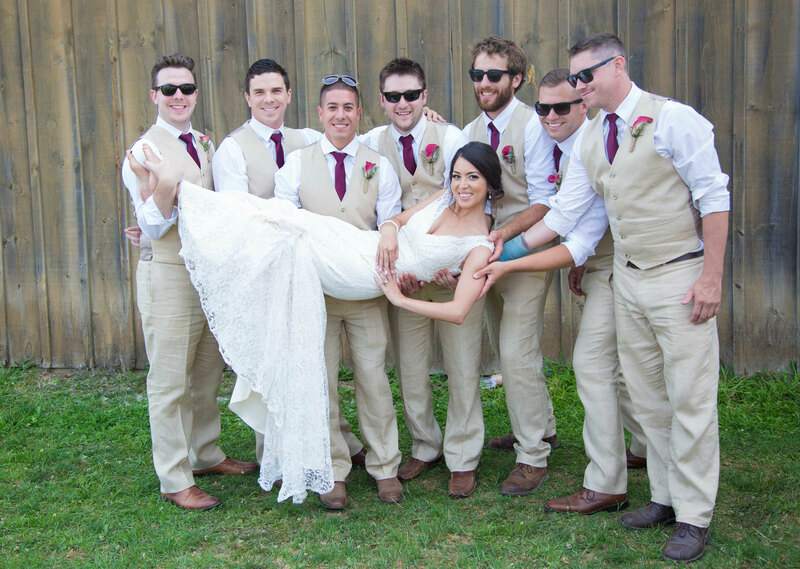 They “run and gun” so they rarely stop the couple and their bridal party for specific poses. 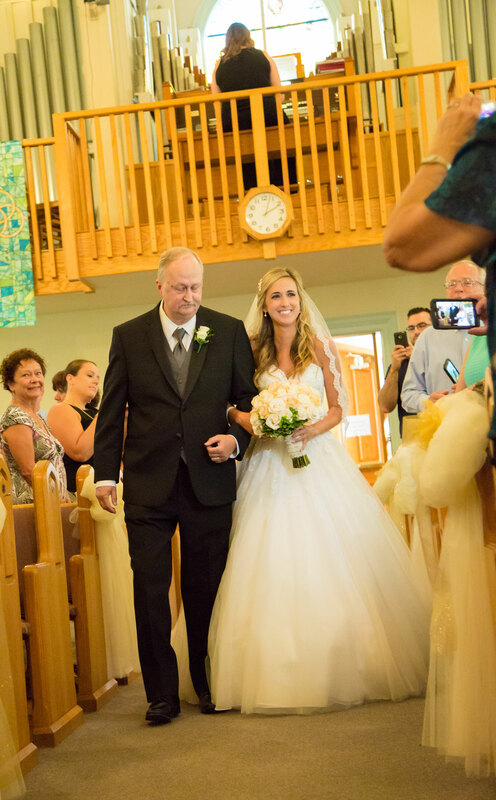 Many videographers won’t even offer the option of pulling photos for clients. 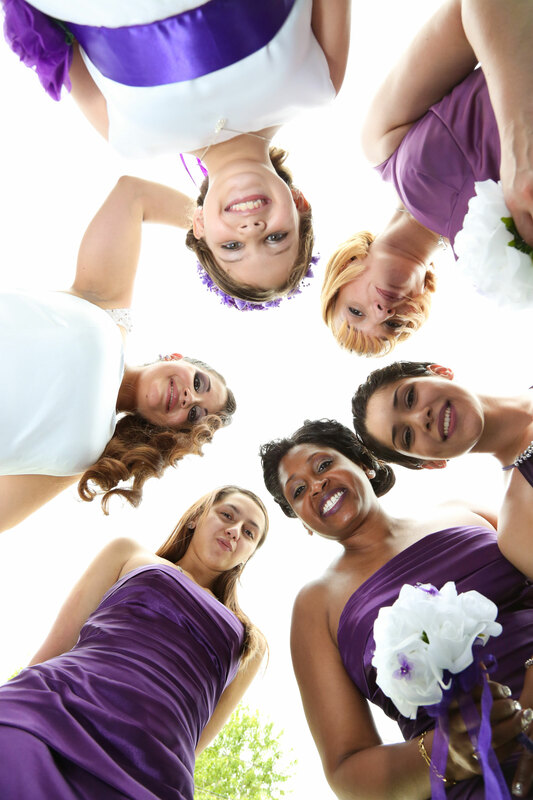 Many couples and their bridal party soon forget the videographer isn’t a photographer. As a result, they end up asking the videographer to perform tasks only photographers are trained to do. “I ride the coattails of the photographer. I let them do the coordinating and happily get video. If I need shot, I’ll ask, but otherwise I don’t interact much with the bridal party,” Krentz says. Also, when some couples get their photos back, they’re disappointed because certain shots they are used to seeing in wedding albums are missing such as formal shots of parents, grandparents, friends, and family. Photographers also have the experience needed to coordinate amazing photos of the couple posing in different settings. Although it’s likely there will be dozens, even hundreds of fantastic photos to pull from video, a photographer can capture unique shots a video camera is unlikely to get. Lighting is also a major factor. Photography requires specific lighting to illuminate the subject best. Videographers are less concerned about lighting. Adjustments can be made in post production however getting a professional to enhance the photos from video will likely cost more money and that could end up offsetting your savings. Our last wedding of the season was a very romantic and classy affair! Francesca and Drew were married at the Avanti Mansion in Buffalo. It was a very cold, winter day but it was perfect or the warm occasion! Francesca got ready upstairs with her girls were I got some amazing video and photos. When Drew arrived the excitement grew. Finally, the couple was married in front of a fireplace while friends and family looked on. The reception was a lot of fun and the groom’s older brother gave a memorable toast about his brother, a speech no one will soon forget! Food was fantastic, the music was great, and the entire day was simply perfect. One of my best memories is the love the two have for their children. We absolutely loved this couple. Trisha and Dan tied the knot after more than seven years together and you could tell as their comfort level with each other was great to see. They really enjoyed every moment of their amazing day, having a ton of fun with friends and family. The entire wedding took place at the Tonawanda Castle. It was my first time there but my photographer shot a wedding at the castle earlier this year. It’s an awesome place to have a wedding! Trisha was stunning in her dress and Dan was very handsome. They had a first look in a nearby park and then we got great photos and video of them along the Ellicott Creek. The reception was a blast highlighted by great food, awesome music, and lots of fun. One great moment was when a bridesmaid and groomsmen paired up for a very memorable entrance during the introductions. Top Five Wedding – Doh! Don’ts! Ok, Buffalo gal – so you’re on a budget and you are admittedly a first timer at this whole wedding planning thing (or at least haven’t planned too many, we hope!) and you’ve probably already had quite a few head-scratching moments while balancing your tastes with what’s in your change purse. Should I do this? or that? What’s right, what’s wrong? Does this matter or not? I don’t know! Here is a quick list of the most frequently-committed faux pax ‘No Nos’ that happens at weddings that seem to come frequently when the bride or groom are trying to cut expenditures. Hey, it’s ok to cut costs, but it’s NOT ok to LOOK like you’re cutting corners. This is a list of what NOT to do. Are you ready? Don’t try to save money by getting fake flowers. Yes, real flowers can cost up to 10 to 20% of a wedding budget, and yes, the silk option will cost only a fraction in comparison, but real-deal flower appeal is an essential part of any classy wedding. Unfortunately, although silk flowers have gotten to be a bit more real looking that crude versions from the past, the truth is, fake flowers will not help you create that elegant authentic wedding of your dreams. In fact, trust me. You won’t be fooling anyone. So now what? Just because you can’t afford thousands of dollars on copious swags of fresh buxom rosettes at your wedding does not mean you have to sacrifice an ounce of elegance! This is a moment where ‘less is more’ can really go a very long way. Who said you had to have a complete bouquet? Either for you or for your bridesmaids? 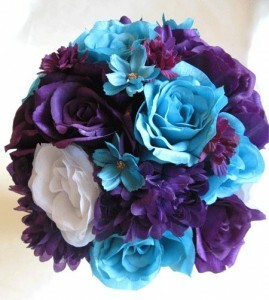 There are many options for a single graceful flower that look spectacular in the hands of a bride or her bridesmaids. The same can be said for the aisle decorations, or center pieces. Choose individual flowers with long stems, and you can add flourish with gorgeous thick ribbon. You can also add a lot of greenery and baby’s breath which is terrifically inexpensive and equally as lovely. The best part, you can choose flowers from your local grocery store the morning of your wedding. What!? Seriously. You do NOT have to hire a wicked expensive florist! 2. Don’t save money by making your guests pay for alcohol. This is just tacky. But it is also understandable that an open bar for several hours is extremely expensive and may not be possible. Instead, plan to save money by keeping it simple and precise. Choose just 2 types of beer, 1 red wine and 1 white wine and perhaps offer a signature cocktail. You can even have an envelope at each seat with 3 drink tokens inside for your guests. (Trust me, unless your guests are complete drunkards, 3 drinks will be plenty and they will love the gesture of drink tokens)! When you send your invitations, you can even ask your guests to check which drinks they prefer, right next to whether they prefer the chicken or fish dinner selection. This can help you purchase the right amount and types of alcohol. Some guests will indicate to you that they only want soda or tea – and that will save you even more. 3. Unless they are already a professional wedding DJ or a photographer, don’t hire a friend to be your DJ or your photographer! Just because your friend’s neighbor has spun a couple times at an annual neighborhood barbeque does not mean he is going to be a fantastic choice for your wedding. And don’t hire your best friend’s sister because she is taking a photography class and seems to have a ‘good eye’ and has offered to shoot your wedding day at a bargain basement price to get ‘experience.’ This just speaks for itself. It is a recipe for potential disaster. Hire a DJ who is a professional MC and a musician and hire a professional photographer from the Buffalo area with experience and with a portfolio and solid reviews. An annoying DJ will make your guests grumpy and will leave early and horrid pictures featuring chopped-off heads and silly poses can never ever be redone. It won’t be worth the dollars saved. Oh, and you’ll have to face these people again because you know them. Buzzer sound! Nope. Next! 4. Don’t spend money on stuff that no one will ever even know the difference. As discussed, your guests will know fake flowers. 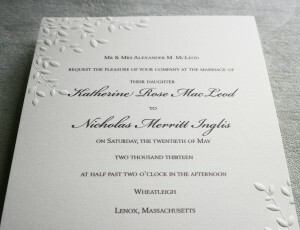 But embossed invitations? A pure silk dress? A 3 thousand dollar wedding cake? No. 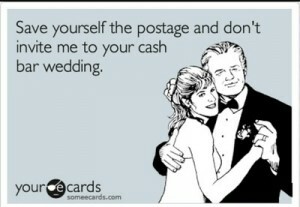 There are gorgeous choices for invitations, lovely wedding gowns and extremely talented bakers in (grocery stores!) that will deliver on the the goods in high fashion without destroying your budget. The key is to compare the more pricey options to some of the less pricey options out there and you can walk away with versions of the most expensive designer brands that are just as elegant and rich but at a fraction of the cost. 5. Don’t get suckered into inviting 700 people. 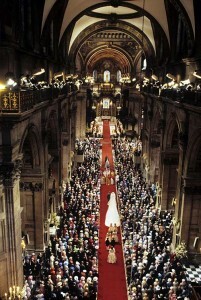 This is probably difficult task if you come from a giant Italian family or you are marrying into Western New York royalty, but chances are that you aren’t royalty and chances are also good that you don’t really have hundreds of super close family and friends that absolutely must get invited. The big offender here is family or friends sticking their nose into your planning, although well intentioned, making you feel guilty for not inviting your aunt Margie’s second cousin’s neighbor because she knitted your christening outfit all those blessed years ago. Don’t feel guilty! Lay the law early and make it known that you have a very particular budget to work with and that means a very specific invite list. Unless of course, they wish to contribute and pay for each individual they wish to see attend – then perhaps negotiations can be made! A great tactic to ensure your list stays within the specified confines of your budget is to pick a venue specifically targeted to only hold a certain number of guests. This capped allowable amount will ensure that you will have every right to be able to say – sorry! The venue holds 75 people, and we are topped out and have already invited 75. Absolutely love this couple. Nicole and Jon were two of the nicest people I’ve met (and I’ve met a lot of amazing people!) Nicole looked beautiful in her amazing wedding dress. Jon was so nervous and excited it was impossible for him to hide it! They got married at La Galleria in the shadow of New Era field where the Buffalo Bills play. But there was no action on the field, instead, all the action was between Nicole and Jon! We got some amazing shots including a cute little shot I coordinated with them using some weeds. What a wedding this was! It all started when I got video of Brett “getting ready” at his house. That is to say, he had fun talking joking around with his guys. Every wedding has a surprise, this one didn’t disappoint. I got to meet the bride’s prize possession, a big, pink pet pig! Watch the video to see this huge bundle of cuteness! Then it was off to get video of the bride getting ready. Samantha was stunning in her dress. All nine, yes (9) girls looked beautiful too! It was a first for me when it came to the wedding ceremony. It took place at the Strasenburgh planetarium in Rochster, New York. This was such a great idea! The guests got to see a cool video on the universe and then the real stars came in to the arena to get married! The reception at Harro East Ballroom was amazing! Guests danced the night away. It was a perfect October 1 day. What can we say about this handsome couple except Dyn-o-mite! Natalie and Andrew had a wonderful wedding on Saturday, August 20th in Orchard Park, New York at St. John Vianney Roman Catholic Church. Natalie looked absolutely stunning and we got some amazing video of her getting ready at the Pearl Street lofts in downtown Buffalo. The newly weds hosted one fantastic reception with lots of fun at Kotecki’s (or affectionately known just as ‘Coti’s’) in West Seneca New York. Michael Kotecki, Kotecki’s Owner for the past 25 years, is a professionally trained Chef who made the meal at Natalie and Andrew’s reception one truly sumptuous fare! It was a sizzling day for sure but not just from the soaring temperature outside; the bride and groom were sizzling with love! Family and friends were beaming wishing nothing but good fortune and happiness for this fantastic couple! Congratulations, Natalie and Andrew!